1. Please provide a brief description of your STEP Signature Project. Write two or three sentences describing the main activities your STEP Signature Project entailed. 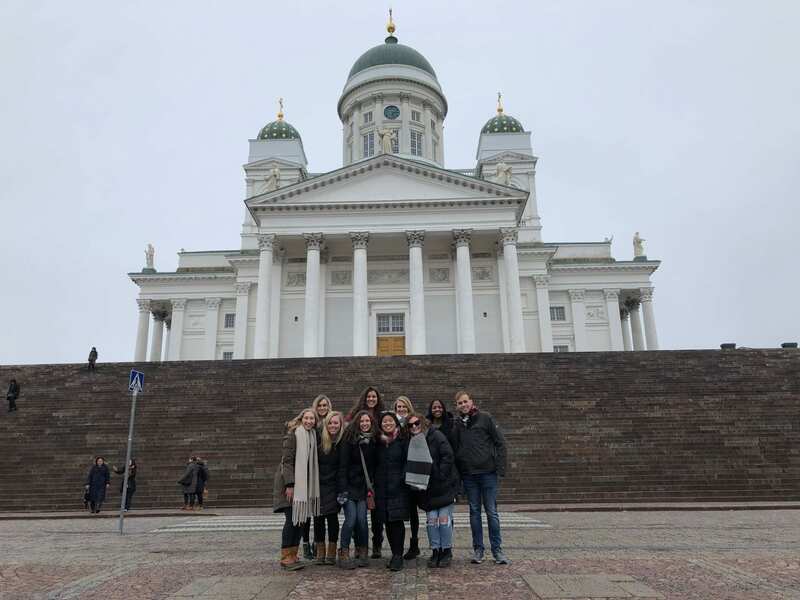 The BMS Learning Experience to Finland and Estonia was from March 7th, 2018 through March 17th, 2018 and took us to Tallinn & Tartu, Estonia, and Helsinki, Finland. The BMS Learning Experience to Estonia exposed me and the other students to a healthcare delivery system different to that of the United States, how science/medical education is taught in a foreign country, and Finnish and Estonian history (which includes Estonia being a former member of the Soviet Union). 2. What about your understanding of yourself, your assumptions, or your view of the world changed/transformed while completing your STEP Signature Project? Write one or two paragraphs to describe the change or transformation that took place. This learning experience to Estonia and Finland expanded my view of the world by exposing me to a completely different culture in Europe. I have only ever traveled to Western European countries such as England, Ireland, Wales, France, Belgium, etc. Estonia was a part of the Soviet Union for an extremely long time and part of that culture still lingers. I have a slightly negative perception of Russia because of the current political climate in the U.S., so it was interesting to see what “Soviet Union culture” really looks like and how much it still influences their everyday lifestyle. Regardless, I had extremely little knowledge of Russian or Eastern European culture, so I learned a great deal throughout this trip about their history and culture. In the context of healthcare, I learned more about the health policy of both Estonia and Finland and the values that influence the way in which health care is provided. Finally, from my classes, I learned that both countries promote more preventative medicine which has extremely long-term benefits on population health. It was interesting to see the general lifestyle of the population, understand how this impacts population health, and compare/contrast them with the U.S. healthcare system. 3. What events, interactions, relationships, or activities during your STEP Signature Project led to the change/transformation that you discussed in #2, and how did those affect you? Write three or four paragraphs describing the key aspects of your experiences completing your STEP Signature Project that led to this change/transformation. 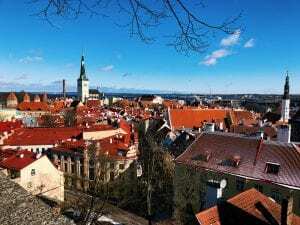 In Estonia, we participated in several historical tours of the city that educated us on both the short history of Estonia as an independent country, but also the much longer history of Estonia as a Soviet country. 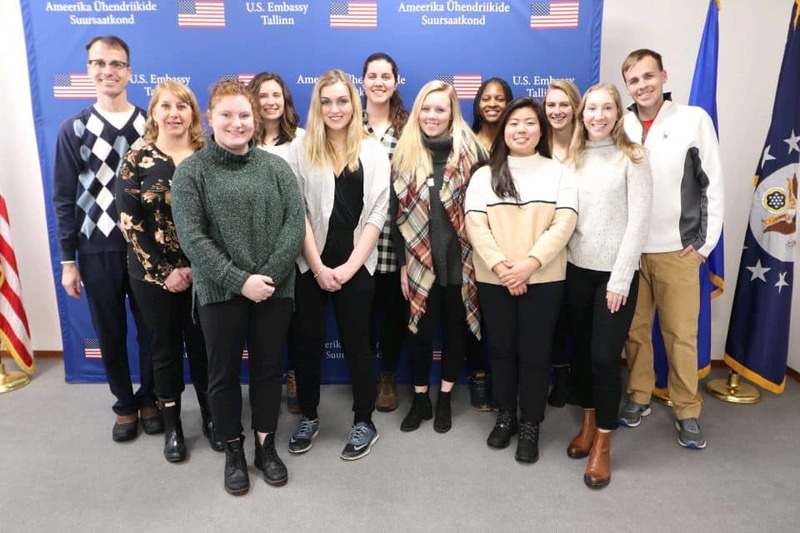 More specifically, our itinerary included a tour of the Old Town, two tours of KGB museums, a visit to a working pharmacy, and a meeting with the U.S. ambassador. These experiences provided much detail on both the general history of Estonia as well as insight into the history of healthcare in Estonia. We learned most about the current healthcare system from the U.S. ambassador through his personal interactions with Estonian healthcare. In Tartu, we had a tour of the university and spoke with some American students who are studying there. They provided additional insight into the everyday lifestyle of Estonians and how that compares to the U.S. lifestyle. They specifically discussed how the culture and language differences affected their difficult transition from the U.S. 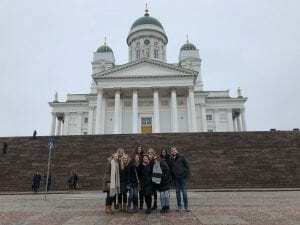 Finally, in Helsinki, we participated in several cultural experiences including tasting traditional Finnish food, visiting Suomenlinna as well as several notable cathedrals, and completing the trip with a jump in the Baltic Sea. The difference between Finland and Estonia was apparent as soon as we entered the country. Helsinki, in my opinion, is more similar to an American city than Tallinn or Tartu in Estonia. However, I appreciated how Helsinki has modernized while at the same time maintaining its historical streets and buildings. 4. Why is this change/transformation significant or valuable for your life? Write one or two paragraphs discussing why this change or development matters and/or relates to your academic, personal, and/or professional goals and future plans. After graduation, I intend to matriculate into medical school and continue along the path to becoming a physician. In addition to attaining my Doctorate in Medicine, I aspire to attain a Master’s degree in Public Health (MPH). As a prospective physician, this program was a wonderful connection between my pre-medicine track and my minor, global public health. 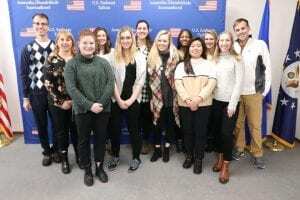 Participation in this study abroad program not only provided me with more insight into global health care systems and the impact of their health care workers, but also enhanced my confidence to pursue international medicine. This program offered countless unique ways to do so including witnessing foreign medicine in practice and understanding the struggles/successes of another country’s health care system. I believe that taking the time to achieve an MPH will provide me with the skills and knowledge to be a more well-rounded and open-minded physician in the future. Additionally, using both of these degrees, I hope to incorporate some international work into my career either through Doctors Without Borders or some other international third-party organization. As a result of completing the education abroad program, I gained exposure to the healthcare systems of Estonia and Finland and learned the healthcare needs of Estonian and Finnish citizens. In addition, after speaking with the U.S. ambassador, I am now more aware of opportunities to work with the foreign service as a physician in the future. In sum, this experience has provided me a valuable perspective as I progress forward in my educational career and will help as I decide which career path to take. For my STEP project, I studied abroad in Costa Rica. For two weeks our class had traditional on-campus lecture about Costa Rica’s tropical climate, geological history, and government policies to preserve its unique environment. We learned what made Costa Rica stand out among other countries in their efforts at reducing pollution and preserving natural habitats in preparation for our trip. After two weeks, we spent ten days in-country travelling to various national parks to witness for ourselves how Costa Rica values their natural resources and how it has become a part of their culture. Some of the key activities that prompted those changes weren’t necessarily the highlights of the trip. Kayaking, white water rafting, ziplining, visiting hot springs, and hiking were fun activities that everyone looked forward to, it was the everyday experiences that truly changed my perspective. For example, simply observing how locals lived their everyday lives through their jobs, modes of transportation, and interactions with each other. Before my trip, I didn’t think about what it would be like to work on a banana plantation, or collect recyclables for a job. In Tortuguero, locals used the canals the same way we use roads – boating from place to place along the waterfront, pulling up to docks instead of driveways, transporting goods in their canoes. Despite my limited Spanish skills, I was able to employ what I knew to converse with locals, make purchases, and ask questions. Compared to my first attempt at speaking, by the end of the trip I was confident in asking questions when ordering food (due to having allergies), where the bathroom was, and even basic directions when exploring towns. 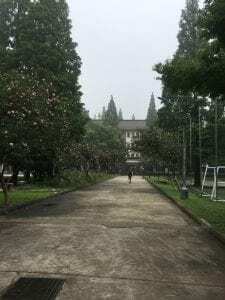 While we had an english-speaking tour guide for the entirety of the trip, I found myself wanting to speak more freely with local people without being reliant on another person for translation. I now realize the importance of knowing how to speak another language, especially when that language is one of the most widely-spoken in the world. After this trip, I want to continue using Spanish in my everyday life to further improve my language skills. Despite having a guide, having some unstructured moments of exploration were some of the most interesting, and probably my favorite part of the trip. Even if the town itself is oriented towards tourists, having the freedom to discover interesting areas on my own allowed me to learn about the lives of its people and the workings of the surrounding area. I got to see what kind of houses people lived in, how to commuted to work, what kind of jobs they had, where they went to school, etc. It opened my eyes to the differences between my everyday life in the United States and what living in Costa Rica would be like. In addition, getting to see the unified efforts of both the people and government at reducing waste and reusing materials made me question the efforts of our own government. While there are certainly differences in the structure of our country compared to Costa Rica, if they are able to employ such innovative practices, why can’t we? After witnessing just how much the concept of sustainability permeates all aspects of life in Costa Rica, I want to implement more of these ideas into my own life, as well as the lives of others. Looking back, this trip has drastically changed the way I view my everyday life here in Ohio, as well as the larger workings of our country as a whole. Although I only spent ten days out of the United States, I realize just how much I take for granted in my daily life. Things like flushing toilet paper, having soy milk for coffee, and air conditioning never seemed that important to me until they weren’t available. More importantly, I realize how much more our government can do towards creating a more sustainable way of living. Increased recycling efforts, expanding renewable energy, and preserving natural habitats are all strategies that are within the ability of the United States, and yet are not prioritized in our society. I hope that in the future, I can take what I’ve learned through this experience to help spread that message of sustainability. As you may recall from your STEP signature project proposal, your STEP signature project was designed to foster transformational learning—that is, learning that challenged you personally and helped you gain broader and deeper understandings of yourself, others, and the world around you. Please address the following prompts to help you reflect on your experiences completing your STEP signature project; please give careful and critical thought to your responses. Please provide a brief description of your STEP Signature Project. Write two or three sentences describing the main activities your STEP Signature Project entailed. 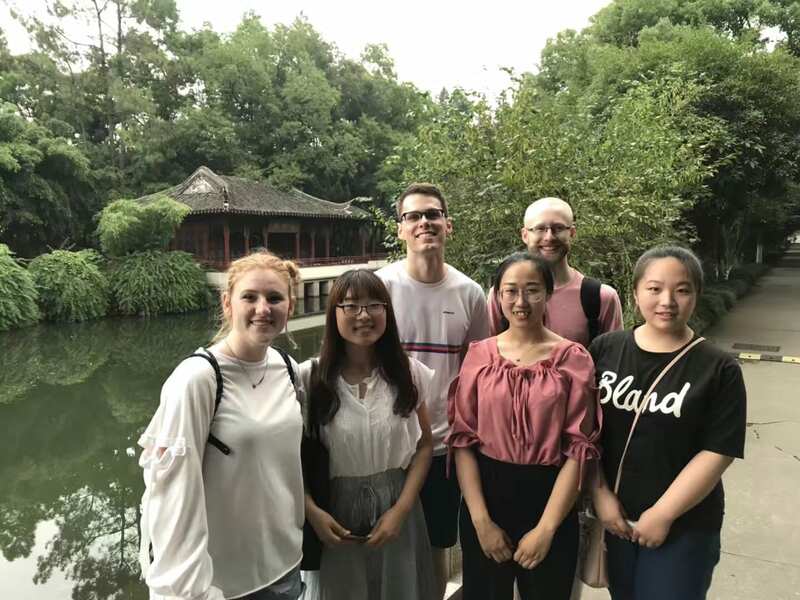 This summer I had the privilege to study Chinese language and culture through DEALL’s Intensive Chinese Language Program in Suzhou. Through the course of these two months, I had class everyday in the morning from 8-12 AM and then had the rest of the day to study and practice communication with my designated language partner from Tangshan University. In the evenings after class, we were also expected to work on our survey projects, which gave us the opportunity to interview local people and research regional cultural attitudes and topics. On the weekends, I personally wasted no time trying to travel and see as much of China as I could; these destinations included Hangzhou, Suzhou, Shanghai, and Beijing. What about your understanding of yourself, your assumptions, or your view of the world changed/transformed while completing your STEP Signature Project? Write one or two paragraphs to describe the change or transformation that took place. While in China, I actually learned many things about America, but also learned many thing about Chinese culture. There’s too many to chose from, but one for example was Chinese art. 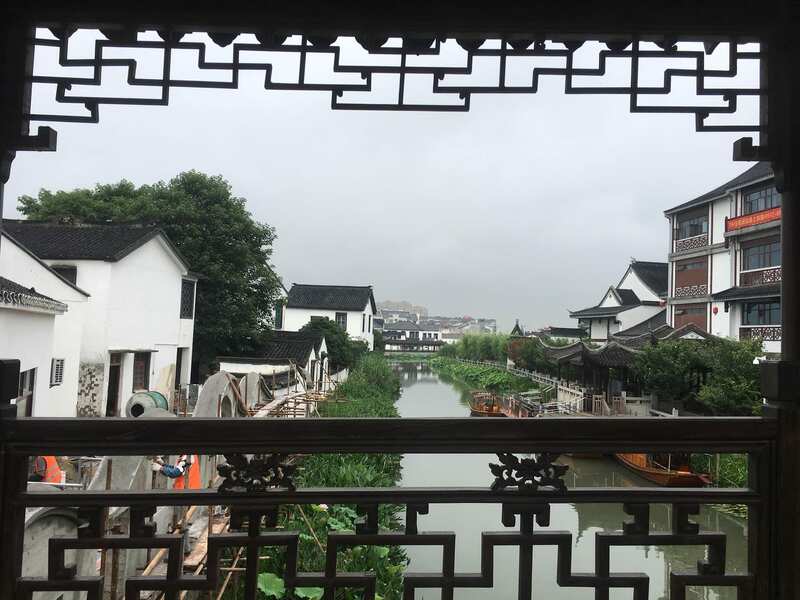 My survey project topic was what genre of art best represented Suzhou: it was such a pleasure to learn about a whole different culture’s art history and how the two are intertwined with Chinese culture. Additionally, having an experience as a foreigner was quite humbling. To meet other foreigners was very interesting and also weird because we were all on the same social level in China, yet we were all from different countries. 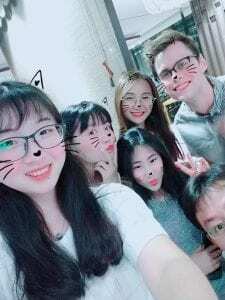 The combradiery I often fostered with these people was interesting to me because we were so different yet in those moments in which I met fellow foreigners in China we must have felt we were very similar socially. Also, I will never think harshly about anyone from another country so long as I live. Moving abroad/ emigrating is one of the hardest, most exhausting things someone can ever do. I’ve never had to think before about how tiring it is to have to think/ perform in another language, but it is quite the eye-opening challenge. What events, interactions, relationships, or activities during your STEP Signature Project led to the change/transformation that you discussed in #2, and how did those affect you? Write three or four paragraphs describing the key aspects of your experiences completing your STEP Signature Project that led to this change/transformation. While I learned many things about Chinese culture, one of the things I was surprised to learn about so much was American culture. By comparison, I noticed a lack of certain institutions I had always assumed to be universal and objective. For example, I personally regard feminism and strong focus on women’s liberation to be a universal good. 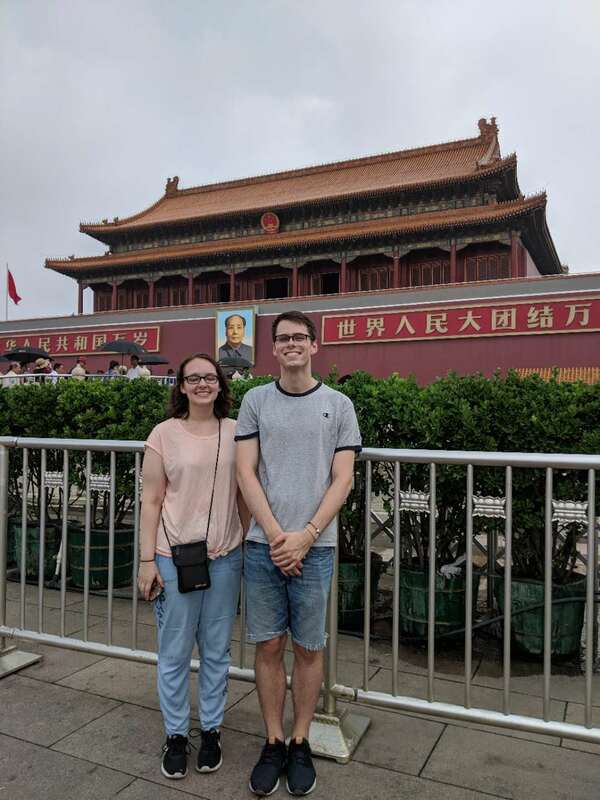 However, after asking one day some of our female counterparts on their thoughts of feminism in China, we learned that feminism in China, as a movement, is actually a little more complicated. Not all women receive the benefits and equality that a “Western” concept of women’s equality promises. Some women argue that in China, since there is still the presence of such a traditional culture, women now have to work even harder than before, because in the public and professional sphere they are expected to perform at the same level as men, but then, must return home and are expected to then perform the traditional idea of maidenhood. It was surprising to see ideals I hold as general universal truths questioned, as I am a person of strong conviction. As a whole, I would say I learned that certain institutions of oppression are actually specific to America. For example, the aforementioned lack of synonymous sexism in the People’s Republic, and also a very different view of race and racism. There are certainly aspects of the Chinese people’s view of other races and people different from them that would make the average Westerner cringe, (simply because East Asia is such a racially homogenous region and race is not such a commonly understood thing there) but when discussing police brutality in America with my Chinese language partners, they were shocked to learn such violent, racist, and dystopian structures could exist. Their disdain was refreshing to me: it reminded me the these current institutions of oppression are only possible because of their repetitive violent history in American discourse, therefore, absent in Chinese culture. So it was very interesting to check my Western privilege and knowledge in a way that encouraged me to realize what I had previously assumed was objective, is actually a little more subjective. Why is this change/transformation significant or valuable for your life? Write one or two paragraphs discussing why this change or development matters and/or relates to your academic, personal, and/or professional goals and future plans. After a few weeks of getting to know each other, several of my classmates and I soon learned a majority of us identify in the LGBT+ spectrum. 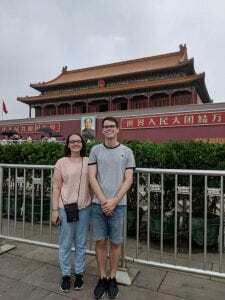 We were so enthralled by our newfound friendship and sense of community, we even planned a trip to Shanghai LGBT Pride 2018. During our time in Shanghai, we discussed how strange it was that around 80-85% of our group of students identified as queer and we couldn’t help but ask each other “why?” It was strange that only (an estimated) 4-8% of the American population identifies as LGBT+, yet 10x that number comprised our group of students. I never really answered the question, because at the time I didn’t think there was a good answer, but now that I’ve had an opportunity to reflect, I think I might have a guess. I still can’t speak on behalf of my counterparts, but I think personally I’m drawn to China’s lack of such violent institutions such as sexism, racism, and homophobia. Don’t get me wrong, China still has problems with all of these issues, but I think perhaps all people who have to look over their shoulder when walking down the street just for being themselves have a natural sense of these things. And now that I’ve had this truly radicalizing experience, I must say I think America’s handling of these oppressive institutions is repugnant. Now that I have lived in China for a period of time, I can say that I feel much more comfortable living there, and can much more clearly now see myself becoming a Chinese citizen and working in the People’s Republic. 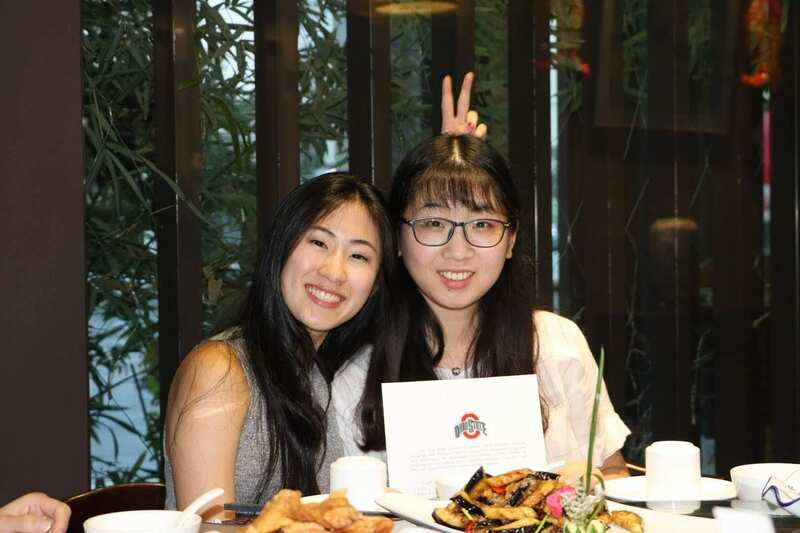 This summer, I spend eight weeks in Suzhou, Jiangsu, China as a student at Suzhou University through the OSU Intensive Chinese Language program. My time in Suzhou helped to revive an old love for learning languages that have felt slipping away over the last couple of years. The program helped to remind me that the reason I learn the language is for a grade at university but for the change to get to know people whose lives exist in what feels like a world away. For the six months leading up to the summer, I recall being more nervous than excited. This was not my first time traveling to China; I have returned to my birth country several times since my time in the orphanage. It was, however, my first time returning with the sole intention of immersing myself in the language as best I could. I have wanted to take the next step towards fluency and study in a Chinese immersion program for more than ten years, and yet I still felt unprepared. I was nervous and afraid. I was afraid of failure and judgment- from both my peers and the native speakers who I would practice with. I realize now that the judgment that I faced came more from myself rather than the people around me. The program was exactly what I had hoped for in terms of intensity. I was ready to be challenged. I was ready to leave the classroom each day with a headache from the immersion and all of the new material that I had absorbed. I hoped that the program would be difficult, but I think that a small part of me also hoped that it would be a bit easy. I was so very afraid of failure. I was afraid that the summer would be like so many of my past experiences- that I would be othered. That I would be dismissed by a part of the Asian community and labeled as “not Asian” enough but also not “not American enough” because of something I lacked- in this case, communication skills and full knowledge of my birth culture. Or even worse, that I would be so far behind my Caucasian peers that I would be labeled as a bad Asian and still othered. The program was a pleasant surprise. There was a stronger focus on learning that grades. Of course, grades were still important, but the focus was placed on experiences and knowledge rather than how many mistakes were made. Everyone in the program was fully dedicated to learning the language in an applicable way. Class was something that I looked forward to rather than feared or dreaded. It reminded me that language is about the people that it allows you to connect with rather than a grade to add to your GPA. The program forced us to immerse ourselves in Chinese to survive. We spent the majority of our time without an instructor by our side. If we were with a native speaker, said person likely understood a limited amount of English- so even if we wanted to cheat and use English, we couldn’t (just as an immersion experience should be). We were each paired with a 语伴, a language partner, to study and explore with. They were all near the same age as us, and most of them had never been to Suzhou either. I consecutively had two 语伴s; one of which I would now consider a very close friend. We became close within the first week of meeting… we just clicked. We studied, we explored, we laughed, … and we ate. Even if there was a bit of a language barrier, we worked it out until we each got our point across. We talked about our friends, our families, and the things that made us happy. 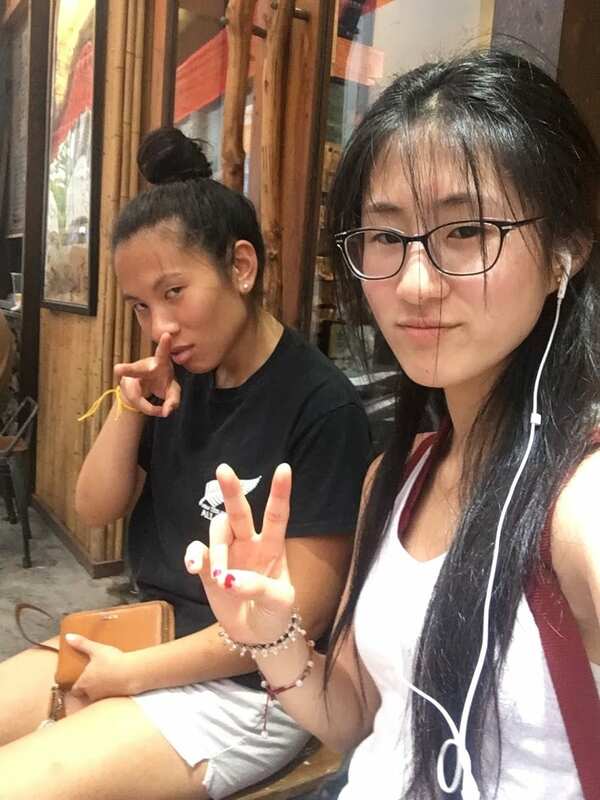 She is the first friend that I have made speaking only Chinese, and it’s sad to think that I could have missed out on such a wonderful friendship if I had not had the skills or interest to learn the language. During the trip, we had a few group excursions with our language partners to help us get to know a bit more about the culture that we were being thrown into for the summer. This part of the experience had both similarities and differences from my previous trips to China. I was able to speak with so many more people and do so many more things because my language skills had grown. I was able to explain to confused natives who I was, why I was in their city, and then explain again who I was- they were often confused by my very Chinese appearance and American accent. 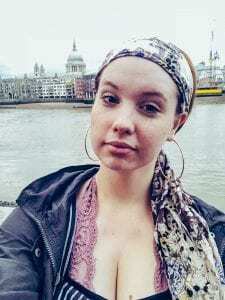 This was another aspect of the trip that I anticipated I would feel some judgment, but all of the natives who I spoke with were very excited to hear my story, and they all encouraged me to continue to learn more about my birth culture and its language. This trip reignited my love for language after a few years of discouragement. I was reminded not only why I wanted to learn the language in the first place, but also of the people I could connect with and the opportunities that I could have because of my ability to communicate. I am not sure how I will use my language skills in the future- on a professional level, on a personal level, or maybe both- but I am so thankful that I was able to participate in this program and be reminded of a passion that I felt that I had lost. For my step signature project, I studied abroad in Canada. 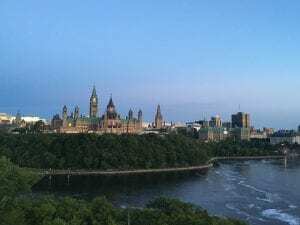 The duration of my five weeks in Canada was spent working as an intern in the office of a member of Canada’s Parliament. Studying abroad was a landmark experience because for the first time in my life, I felt as though I was truly being independent. I’ve always been a shier individual, so I wasn’t sure how well I would adapt to being around so many new people. With time, I learned that I definitely underestimated my ability to engage in social interaction, as I built many relationships with different people throughout my time in Ottawa. As an intern in the Canadian government, I was able to meet many political figures, as well as a wide variety of Canadians and people who came from different backgrounds than my own. I also made a lot of new friends that were American, much like myself. These interactions exposed me to a lot of new people, whom I was able to speak to and hear many opinions and perspectives different from my own. These interactions allowed me to become more open-minded and learn a lot about not just myself, but others as well.In addition to the relationships I built during my time abroad, I endured many new, valuable experiences. I was able to travel to Gatineau, Quebec City and Montreal, two places I’d never been before. These cities also happen to be predominantly Francophone, so I was able to finally put my limited French speaking skills to the test, as I’d never been anywhere that primarily spoke a language that wasn’t English. 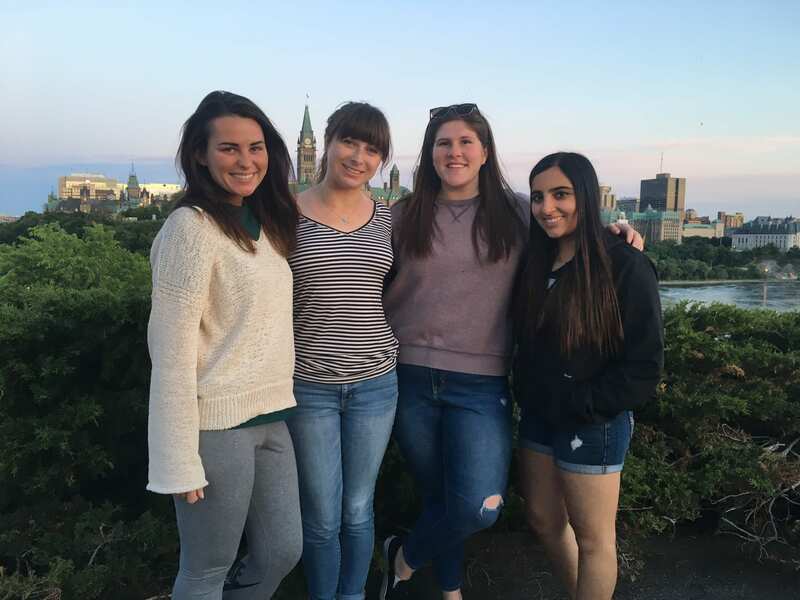 It was in these cities and through the experiences that I had there, that I was able to recognize the cultural differences between Anglophones and Francophones. 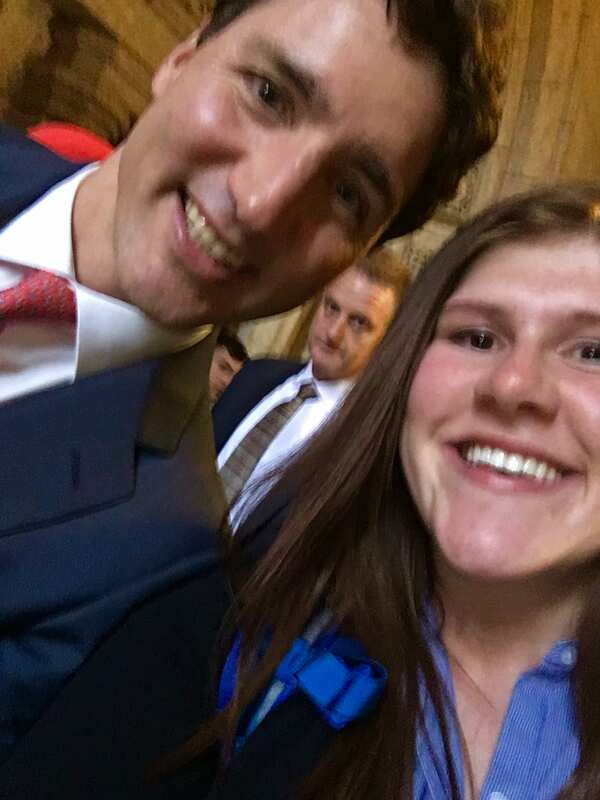 Another experience I had during my time abroad was seeing and meeting Canada’s Prime Minister, Justin Trudeau. 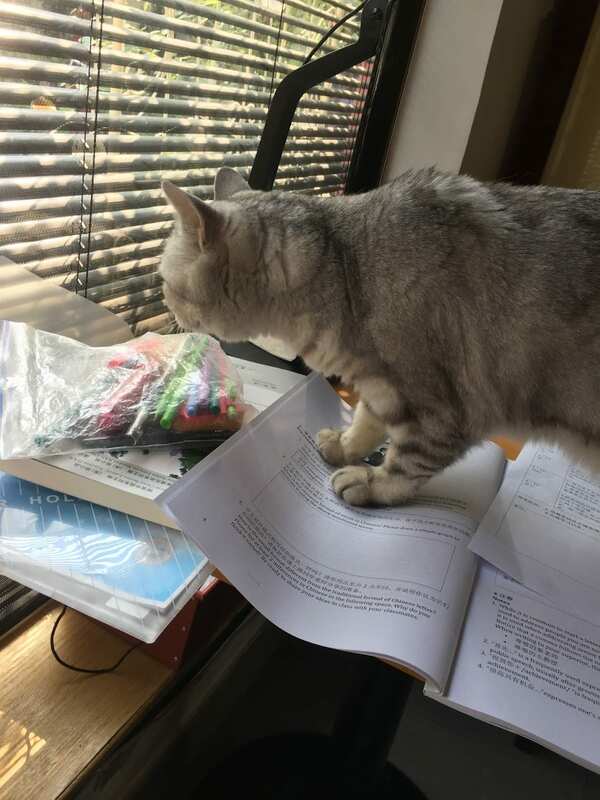 It was a valuable experience to have an internship in a government office, as these kinds of events don’t happen to an ordinary person, such as myself, everyday. I was also able to see the President of France, Emmanuel Macron, as he visited Parliament prior to the 2018 G7 Summit, which was being held a few hours away in Quebec. Lastly, the internship, itself, was a brand new experience for me as I’d never worked in a professional setting before. For a long time, I felt as though I wouldn’t survive in a professional setting because I wasn’t sure I had the skills or mindset to do so. However, being immersed into a professional, white collar setting really pushed me to implement my writing, organizational, and communication skills along with a rigorous work ethic. The different tasks I was assigned to in the office, helped enhance the skills I’d already had and gave me a true sense of what life in the professional world is like. Through my STEP signature project, I personally underwent many changes. The new people and experiences shaped me into a more open-minded individual, and allowed me to truly value the idea of building relationships, visiting new places, and daring to undergo new experiences. I find that I am much less timid than I was when my project first began, and I understand that there is so much left to see and do in life. I feel much more confident in not only my social skills, but in a professional setting as well. This experience has allowed me to value each new experience I have and learn from them as well. With these new skills and experiences, I feel as though I am prepared to work in other professional environments and get along well with anyone I meet. 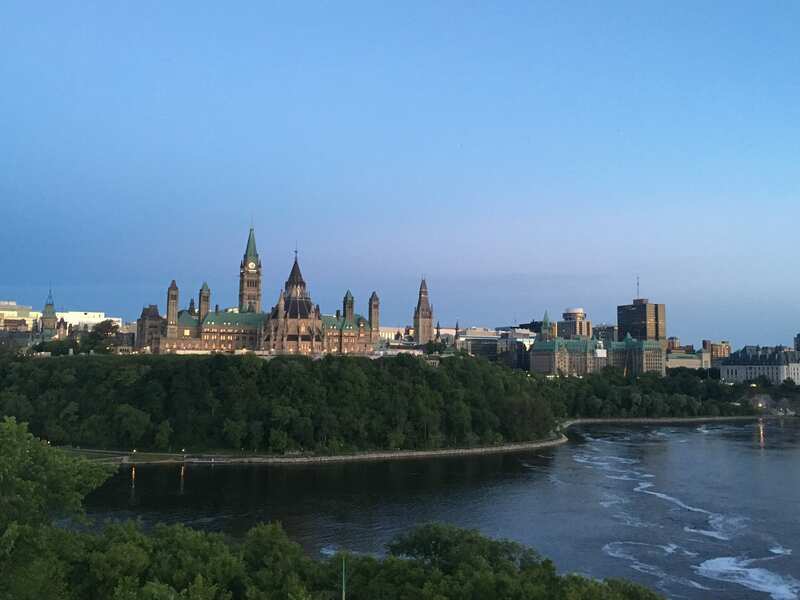 My time in Ottawa has prepared me for the future in so many different ways, and I am excited to put these new skills to the test some day soon. For my step project, I completed an internship with Public Service Electric & Gas, or PSE&G. It is an electric and gas utility covering the New Jersey area. I worked as the Interconnection Strategy and Management intern. My team worked on project management of third party requests to interconnect onto the power grid. As their intern, I worked on developing the process flow as the team was newer to PSE&G. With the process flow, I developed a standardized manual on the procedures. I also completed a past interconnection database. With my STEP funding, I was able to purchase the necessary things I needed for this internship including specific steel-toed work boots, office clothes, food, and gas. This internship was a great tool for me to figuring out what fields I may want to go into after school. I learned a lot about myself and what I want for myself professionally. Before this internship, I was still at a loss of what exactly I wanted to do after school. Studying Chemical Engineering, there are so many options to choose from when it comes to picking a job. Because I found a lot of them interesting, I did not know what field I wanted to go into. Now, I know that I want to focus more heavily on project management in the future. I also have a stronger desire in higher education from this internship. I believe I will get a Masters degree in either engineering management or business now to further my education. Another large change in my understanding of myself is how I feel about public speaking. While it still makes me nervous, I am know much more confident in my ability. Besides professionally, I also developed a lot personally through this internship, through the friends I have made. Many different opportunities helped me develop these changes and discoveries. One of the main reasons I was able to decide what I want to do is because of the opportunities my group gave me to learn. My supervisor was very hands on about what the company and the department does, how we managed projects, and how my role fits. I also attended many trainings, to both extend my knowledge of my job as well as my knowledge of business and technical skills. From the combination of all of this, I realized that project management is the right career path for me. I am hoping to take this idea into an industry that I find a passion for, which I am still looking to discover. Deciding to go to school for a master’s degree was never something I was planning on while I was going to school. For the most part, it is not necessary for my degree as it is for others. However, this internship helped change my mind on this ideal. The main reason is because of a newly hired employee that I worked with. She had a very similar path to me. She was a recently hired chemical engineering major who was an intern last year. I got to talking with her because I wanted to see how she was able to use our major in unique ways in the company. As we were talking, she mentioned her desire to go back and get her Master’s in Engineering Management. It was a mostly online program. After talking to her further, I realized that this would be a great path for me. It fits my career goals, while giving me a good opportunity to get a Master’s without having to do research. An added benefit is that PSE&G and many other companies will reimburse the payment of the degree which would really help. One of the biggest parts of the internship was our presentation in front of the Senior President of my department with all of her senior leadership. I have always had anxiety over presentations, and really do not look forward to doing them. Needless to say, I was very anxious in the days leading up to the presentation. The thing that helped me feel less nervous was practicing as much as possible. I pretty much practiced in front of anyone that would listen to get the nerves out. While I was still nervous when I presented, I ended up doing really well after and realized I felt a lot more nervous then I needed to be. My team complimented my work after, which gave me a lot more confidence in my presentation skills. Overall, while I am not perfect at presenting, I still feel a lot more comfortable with it then I did before. Having professional experience for an engineering student is vital for other jobs. However, it is necessary to make sure you make the most of any professional experience you get. 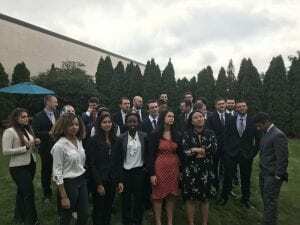 While this internship was not with a company that is typical for my major, I made sure to put myself out there and explore as many fields of the company as I could. Without this internship, I do not know if I would have a five year plan of what I want to do in my life. It definitely helped me look at myself, and my education and realize what I want to do with it. I also see how valuable school really is, as it will help me achieve all the goals I want in my life. I am so thankful to have done this internship and for STEP for making this happen. I conducted initial research on the mechanism for liver sinusoidal endothelial cell (LSEC) injury following cancer drug delivery. My work entailed standardizing antibodies and controls so that a human LSEC cell line could be tested for the expression of CD33, a target receptor. This project gave me valuable insight into a research career. This was the first time I worked full time in research, so I experienced spending almost 40 hours a week in the lab. It was really important for me to understand whether being in a wet lab for that long is conducive to my working style. 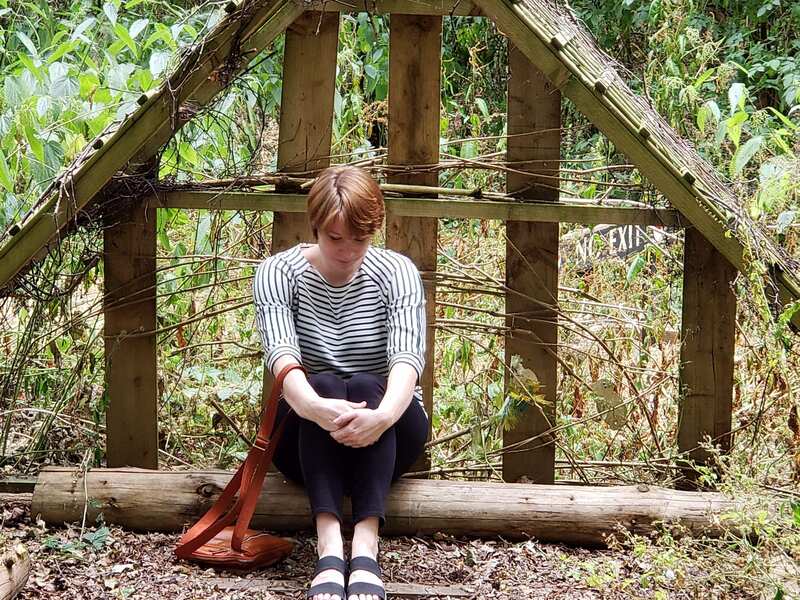 I found that I struggled with the lack of routine that comes with research—the unpredictable nature of the job gave me anxiety that I did not know how to initially handle. I realized how important a routine and regular work schedule is to me—I discovered that it helps me plan around my hobbies and spending time with family and friends. I also struggled with feeling inadequate about the progress I was making, especially when experiments did not work or needed to be repeated, or had to be delayed for certain reasons. I thought deeply about my desire to be a physician and how well that career truly lined up with what I wanted from a job—I realized that when working with patients, I wouldn’t feel like any time or day was a “waste”, because even if you cannot cure somebody’s disease, every moment you spend with them has the potential to be positively impactful in their life. This is not really the same for research. I struggled with feeling like sometimes I wasting my time when things did not go right. Although I have a deep respect and appreciation for biological research, in a job I need to be working more closely with people. Most of the research I did this summer was fairly individual other than lab meetings. I like working with team members throughout a project and sometimes being in a lab by yourself all day can get fairly lonely. I have gained a better understanding of the aspects I am looking for in my future career. The unpredictability of research that was referred to above presented itself in many forms. I am a planner—I feel most comfortable when I can lay out ahead of time what my goals are for the week and then in order to feel satisfied with myself, I need to accomplish those goals. During my research project this summer, the work that I had expected to complete totally did not happen, and the work I was able to complete took significantly longer than expected. For example, I was trying to standardize an antibody for a particular cell line; I started out using the antibody with just positive and negative controls. But, it was not working with the positive control. I spent almost a month trying to change variables such as temperature, the machine used to analyze data, antibody concentrations, etc. in order to figure out why the positive control wasn’t working. It turned out that this antibody does not work on fixed cells—they have to be fixed after the antibody is used. This experience frustrated me significantly because what I thought would just be one quick experiment took almost ten different experiments. In relation to the frustration I felt when my plans could not be carried out, I also became anxious about the supposed lack of progress I was making with my project. I had wanted to take about half the summer to standardize antibodies and reagents, test them on the liver sinusoidal endothelial cells, and then explore the mechanisms for sinusoidal damage. However, because the standardization took so long, I was unable to get to explore the mechanism part of the project, which I had been looking forward to the most. And finally, I realized how important it is for me to be working actively in a team. Although a lab is a team, the day-to-day work that I experienced was fairly individualized—I spent most of my time alone. Even if there were other people in the lab, my need to concentrate on my own work forced me to isolate myself either physically or by putting on headphones. I am a fairly social person that needs to engage with others on a daily basis in my work to feel satisfied with my job—I found that the type of research I did this summer failed to provide me with that. I again thought back to my physician shadowing experiences and remembered how they discussed everything together and worked as a team with nurses and other physicians every moment of the day, and how much that seemed like a better fit for me. This research project has allowed me to learn and reflect on what it means to go into research, especially biological, as a career. This was very important to me because I have been fairly confused about what I want to do after graduation. I was considering going into research, applying to medical school, a public health field, and even teaching. Because I have been doing part-time research since my freshmen year, it was the most logical option. I had simply had more experience with it. However, I had never worked in research full time and was always balancing it with school. I finally worked full time in research this summer and found that it failed to fulfill key qualities I discovered that I needed in a job. Although I am not considering research to be a significant part of my future anymore, this experience did make me more confident about my decision to apply to medical school to become a physician. My whole high school and college experience I’ve been trying to better understand myself so that eventually I can go into a career that will make me happy because I want to help people, but I cannot do that if I am not happy myself. Everything that I felt I was not getting out of research would be there for me in the role of a physician. I would be glad to continue contributing to research during my breaks in medical school, for example, but I feel that my personality is better suited to the role of a physician than for research. 1. Please provide a brief description of your STEP Signature Project. 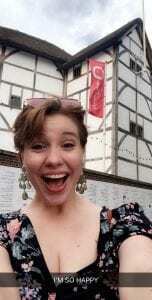 I used my STEP funding to subsidize my involvement with the London Theatre Study Abroad. On this trip, we saw over twenty plays, visited multiple museums, and engaged with British culture in numerous other ways. We also took part in a class, in which we discussed our various London adventures, heard from guest artists, and connected our new experiences to our own work as theatre makers. 2. What about your understanding of yourself, your assumptions, or your view of the world changed/transformed while completing your STEP Signature Project? I went into this project expecting to have my view of theatre changed, simply through the process of interacting with so many plays in such a short time. However, I was surprised by how much my interests in visual arts changed as well. Visiting visual arts museums that housed some of my favorite paintings of all time, such as the Musee D’Orsay during my short trip to Paris or the Victoria and Albert Museum, provided me with fresh inspiration and a drive to make more visual art. 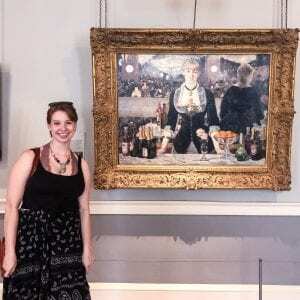 I was surprised by how much a trip focussed on the performing arts spurred my interests in visual arts. Being so far away from home for a month proved to be a bit more emotionally difficult than I had expected, namely because my aunt had a very unexpected stroke and passed away within the first two weeks of my trip. I learned a lot about myself in the subsequent weeks, because the sense of a loss of control in my life led me to react to my surroundings very differently than I had expected. I struggled to keep up with my class work and I was easily overwhelmed by seemingly insignificant things, but that helped me realize some of my issues with anxiety that I need to address. Having had such a traumatic experience while so far away from my family also impacted how I experienced the plays we saw, making some more poignant due to relatable or timely subject matter. 3. What events, interactions, relationships, or activities during your STEP Signature Project led to the change/transformation that you discussed in #2, and how did those affect you? Some of the plays we saw truly transformed me and my tastes as a theatre maker. The very first play we saw, entitled Flesh & Bone, was an incredibly visceral experience that has changed the way I want to make theatre. It has inspired me to fuel my plays and acting with physicality and movement as a way of connecting to the audience. It was also a brilliant use of language, as it was a contemporary production written almost entirely in Iambic Pentameter. A number of the plays we saw encouraged me to utilize stillness as well, and to not be afraid of silence. Even the plays that I truly hated were learning experiences, in that they made me realize what it is that I resonated with or resist in theatre. Beyond the theatrical experience of this project, the unfortunate event of my aunt’s passing was by far the most transformational aspect of my trip. It reminded me that horrible, inexplicable things can happen, despite our greatest attempts to plan and control the world around us. Talking to one of the graduate students on the trip about this experience helped me realize that I don’t need to apologize for my emotions, or for being a human. Life at home doesn’t stop when we travel to a different country, even though it seems like it does. Now I know to say what I want to say to those I love before its too late, but I also know, from one of the plays that I saw, that “It’s okay to be angry” and its okay if I didn’t say everything I wanted to. The experience of traveling in a group of around 20 people was also a surprisingly transformational experience for me. I went into the trip already knowing everyone in the group relatively well, though I was closer to some than others. Going through such an emotional time in my family life so publicly made me realize who in the group actually cared about me. The people I knew the least on the trip proved to be far more helpful and supportive of me than those that I thought were my closer friends. I feel like I made a lot of amazing new connections and made some great memories with people I did not expect to connect with. Before the trip, I would say there were maybe two people in the theatre department of OSU that had seen me cry. After the trip, that number had gone up to around twenty. I could be embarrassed about that fact, but instead, I choose to be liberated by it. There is nothing wrong with showing emotion, being vulnerable, or being human. Those are actually some of the most important aspects in creating theatre, as well as creating a life you’re proud of. My academic interests and professional goals are on the making of theatre, specifically with a focus on acting and playwriting. Seeing this many plays, and in such a short period of time, gave me the chance to recognize what it is that sparks my interests and excites me in theatre, as well as what pushes against or challenges me. This trip gave me the push I needed towards new forms of artistic expression, in both the visual and performing arts. My personal goal of being a self-aware, mentally-healthy individual, was challenged by this trip because I went through one of the hardest experiences of my life on a different continent, far away from my family. However, I came out the other side knowing more about how I handle stress and what I need out of my friendships, as well as understanding how to be less apologetic and more willing to accept of my own humanity. 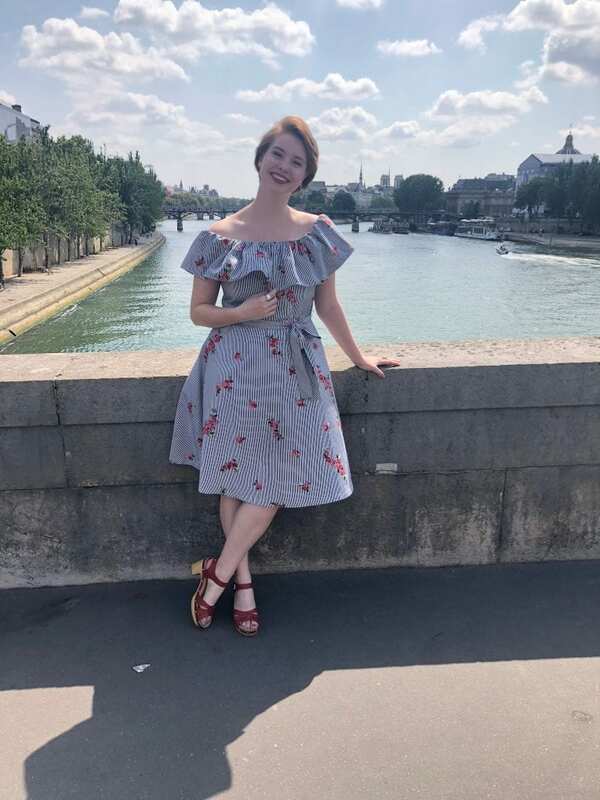 My STEP project consisted of me living and working in Warsaw, Poland for Summer 2018 as an intern at the Institute of Aviation. I worked as a materials engineer on additively manufactured crash landing gear during the week and then travelled to various countries on weekends. I had the opportunity to gain a better understanding of “how the world works”- Something that I was taught from a very young age is the importance of good manners and proper etiquette. Seeing the importance of that this summer in action was really neat. Little things like seeing Polish children well behaved instead of running up and down trams like I often see on the COTA busses in Columbus took me by surprise. The things my parents taught me that seemed to never fit in in the US and especially college became really relevant in Europe (don’t draw attention to yourself by being silly, you don’t need to talk at the top of your lungs, how to use a full dining set etc. ). It’s partly what you know but more so who you know. Networking, making connections, and real relationships is essential professionally and personally. My cultural identity and value system was also evaluated during this experience- this is the one of which I am the most appreciative. Under stressful situations and growth opportunities I learned what matters most to me and how not to get stressed out over little things. Traveling this summer also exposed me to so many different cultures which taught me about myself and gave me a greater appreciation for being a US citizen but also having the ability to live abroad for a long enough time to truly feel a part of Poland. Travel wise my favorite memory is hiking to the Matterhorn base camp in the Swiss Alps. It was something entirely outside of my comfort zone. Most people I met on the trail were either French or German and spoke limited English. It was cool to talk to people in French on the trail and then once making it up to the camp drinking hot chocolate and taking in the sheer vastness of the world. Professionally my favorite experience would either be the first time I got my model to work after waiting 13 hours for the computer to run the simulation or having the opportunity to go a palace dinner for the joint Ohio State/ILOT conference. I was able to eat dinner in a palace with the Polish minister of commerce which was such an amazing opportunity. It was really nice to apply things I’ve learned in class during the internship. Knowing that what I’m learning is relevant is really nice. It was also really nice working on safety features for planes because I really like knowing that I can help provide a direct impact to passengers. It is helping me satisfy my Go Global option for the College of Engineering, which is an accolade given to College of Engineering students who go above and beyond to incorporate global studies and experiences into their coursework. I would like to live abroad again, perhaps as part of a Fulbright program. Living abroad helps establish connections and my competence in being able to handle living abroad again. I’ve met so many outstanding people at ILOT, OSU, and through the conference or traveling. Having the ability to meet so many people of diverse backgrounds has helped me get a better feeling for what I want in the future professionally. This past Summer, I was fortunate enough to work as a supply chain engineering intern at GE Appliances, centered in Louisville, Kentucky. My specific role involved working as part of the materials team in the refrigeration factory, but my actual role was much more diverse. I was in charge of shipping out product service parts to consumers and other factories, to do this I managed a small team of workers who boxed these parts while dealing with the logistic aspect of shipping goods. I learned a great deal from this position. This was my first engineering role that did not involve research and development in some way. This was my opportunity to discover what I liked and disliked about the research and development and production roles of engineering. I at first believed that my new role would be entertaining, because there were so many responsibilities that I wouldn’t have any free time. After doing this tasks for several weeks, I found that I while I was busy every day, and the time flew by, many of the tasks felt thoughtless and this was the norm for a while. Every now and then, the factory would be dedicated to product service orders because we were running behind on parts. During these times I was given complete authority on where to place workers, what jobs they would be doing, and the logistics behind shipping goods and where to send them. I found that I wasn’t looking for constant work, but I was searching for independence in work. I discovered that I enjoyed research and development more than production, but I would like independence in how I conduct research, and to do that I need additional coursework so I have the prior knowledge to do this research. I believe that I grew as a person and a leader as part of this position. My leadership position in the factory gave me a manager position over my workers. I learned how to lead groups of people with confidence as well as how to make competent, impartial decisions given the information that I had in front of me. I believe that one of the most important thing that I learned from this position was how to take no for an answer. While the product service parts were important to the factory, the most important thing was to keep up with production. I had to learn to accept when the factory could not spare product service parts. I had to work around this needs and find a time when the parts I needed were in ready supply. During this rotation at GE Appliances, I was lucky enough to work closely with every branch of engineering at the company. I worked with the technology group quite often to help them find parts from the factory. I also worked with the quality engineering at the factory to help me acquire parts worth sending out for product service orders. I also worked with senior design engineers to help them ship fixtures and other products to other factories around the country for testing. This position did a great job introducing me to most of the other possible engineering disciplines that I could go into. Throughout my time working this summer, I can’t think of a period where I was not treated as an equal to my supervisors and managers. My input was always listened to and valued, and typically when I proposed a change, they were followed through with. Being treated as a reliable member of the team really made me feel more confident in myself and my abilities, and allowed me to lead my own team more capably. It was easier to make decisions knowing that my decisions would be backed up by my managers. Eventually they began to tell me that I knew more about current situations than they did, since I worked in my area everyday. It was reaffirming that they would trust me so implicitly. This experience with the materials team at GE Appliances significantly helped my confidence and leadership skills. Being on the materials team, I worked closely with suppliers to acquire parts needed to keep the factory running. There were several events, but on day at work we began to run out of a valve that was needed to built refrigerator doors. I was asked to work overtime that day so that I could help the materials team either find more of the valves or work with suppliers to have more sent to the factory. Events like these helped me to gain a better idea of how production is ran and the roles of every individual person on the materials team. I also began to understand the hardships involved with ordering custom made, large production parts from third party companies. I gained an admiration for the people who maintain day to day work like this and how they are able to shed off blame when things go wrong and start working on a solution right away. These changes helped me to grow as a person and as a professional. As a result of this, I have became much more open to accepting criticism and opposing ideas. I am also more able to evaluate situations from an objective stance and begin working on a solution immediately. The leadership experience that I have gained has helped me to be more active and social situations and I am no longer afraid to take charge in a group activity or event. I believe that the experience that I have gained working with all disciplines of engineering will be vital for whenever I begin looking for a full time job. I believe that working with the materials team has also helped me to become more trusting of others, after seeing the amount of trust that they placed in me. I believe that working in the real world has also helped me gain more of an appreciation for engineering coursework and how the situations that we cover in class can apply to everyday engineering design.